Excellent Em. Beautiful design. Boy, do I know the feeling of knowing I did something and not being able to find it. SMILE. 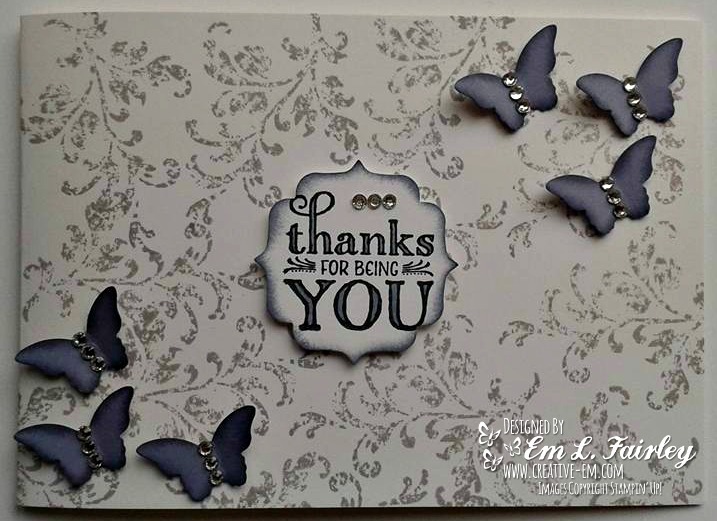 Hi Em, this is so pretty, love the background and beautiful butterflies. Beautiful and elegant. I always love your cards for the elegance. You have such great taste in choosing your papers and embellishments. Love it!